An investment manager is a complex web of data. In a data-intensive industry, few firms have mastered their reference data to create a single view of their “data truth” and even fewer firms have solved the single data platform to meet the needs of front, middle, and back office, distribution, and corporate functions. With data science being added to the mix, the data landscape has become increasingly more complex and also exciting, elevating data from operational efficiency to alpha generation. With data at the heart of all investment business functions, an under-performing data platform impacts business results. The good news is that a well-designed data platform that is flexible, fast, governed and accurate is within reach. Advances in data technology, data mastering, data governance, and years of design experience solving investment management data challenges can be applied to lower inefficiency and gain increased value from your data. Many are put off from fixing their data platform and managing a large, complex and costly project. However, Olmstead advocates that improvements can be made incrementally if you have a good design blueprint and leverage smaller business initiatives wisely. It may seem overstated that data is always a challenge, but the question many senior executives are asking is “what impact is our data platform having on our organization?” There are direct and indirect costs to organizational inefficiency, business results, and lost opportunities caused by an under-performing data platform. Olmstead refers to this as data tax. Inefficient and inaccurate data impedes employee performance impacting all roles from senior leaders, investors, compliance, risk, sales, quants, data science, accounting, and in short, everyone, who must accommodate it in their everyday work. This extra work required to gather, format and scrub data is time-consuming and expensive. Forrester reports that “nearly one third of analysts spend more than 40 percent of their time vetting and validating their analytics data before it can be used for strategic decision-making” and IBM estimates the yearly cost of poor quality data, in the US alone, in 2016 was $3.1T. For the sake of argument, take your entire payroll of your firm and multiply that by 10%, 20%, or 30%. Given that data impacts all roles, this is an estimate of your data tax. If we all could have built our investment business from day one with a modern data platform and a data architecture that considered all the data needs, then there would not be a problem. Instead we tactically added a trading platform, then changed the accounting platform, then added new asset classes, and soon enough we have compounded data inefficiency. The good news is you can reduce your tax. We all know we cannot boil the ocean and rebuild an entire data platform overnight. But we can leverage the next business initiative that is data-intensive to incrementally improve the data platform and lower the data tax. Before you start your data initiative (e.g., a client reporting implementation, middle office outsourcing, or a new accounting platform), spend the time to develop a data blueprint (target architecture) of how the data platform should be built to improve business functions. Use the data initiative to incrementally improve the data platform and lower your data tax. 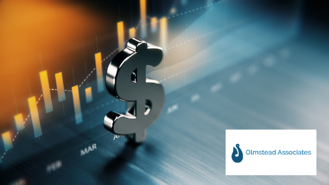 Olmstead strongly advises clients to assess the health of their data platform before beginning a data-intensive business initiative to avoid the Data Project Tax defined above. Our Data Readiness Assessment is combined with our data strategy methodology to define the future-state target data architecture and identify data pitfalls. Through our Data Impact Model, Olmstead has defined a roadmap and data platform assessment methodology to help clients evaluate and mature 8 essential data capabilities. As you mature your data capabilities, your data tax is reduced, employees are more productive, make better decisions, better identify risk, execute strategy more effectively, create better products, and close more sales.